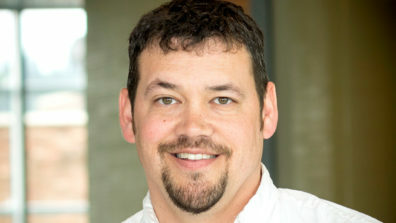 Christopher J. Davis, Ph.D., M.S. Dr. Davis investigates neurobehavioral and neuromolecular regulation of sleep, wake and plasticity. He employs rodent models to demonstrate the consequences of sleep loss on cognitive performance, brain chemistry and slice electrophysiology. A central focus of his work is characterizing the role of microRNAs on the electroencephalograph and vigilance states. Dr. Davis co-teaches Mechanisms of Cell Physiology. He mentors undergraduate and graduate students from multiple disciplines. Davis, C.J., Taishi, P., Honn, K.A., Koberstein, J.N., & Krueger, J.M. (In press). P2X7 receptors in body temperature, locomotor activity, and brain mRNA and IncRNA responses to sleep deprivation. Am J of Physiol Regul Integr Comp Physiol. Davis C.J., Dunbrasky D, Oonk M, Taishi P, Opp MR, Krueger JM. (2015) The neuron-specific interleukin-1 receptor accessory protein is required for homeostatic sleep and sleep responses to influenza viral challenge in mice. Brain Behav. Immunity. (on line 4 Nov 2014; PMID:25449578). Kay, D. & Davis, C. J. (2014). MicroRNAs, sleep and neurodegenerative disorders. In: Sahu SC. microRNAs in Toxicology and Medicine. Chichester, West Sussex, UK: Wiley, pp. 201-213. Davis, C. J., Clinton, J. M., & Krueger, J. M. (2012). MicroRNA 138, let-7b and 125a inhibitors differentially alter sleep and EEG delta wave activity in rats. Journal of Applied Physiology, 113:1756-1762. Davis, C. J., & Krueger, J. M. (2012). Sleep and Cytokines. Sleep Medicine Clinics, 7, 517-527. Davis, C. J., Clinton, J. M., Bohnet, S. G., Taishi, P., Honn, K. A., & Krueger, J. M. (2011). MicroRNA 132 alters sleep and varies with time in brain. Journal of Applied Physiology, 111, 665-672. Oonk, M., Davis, C. J., Krueger, J. M., Wisor, J. P., & Van Dongen, H. P. A. (2011). Investigating the two-trial Y-maze as a performance assay for short-duration sleep deprivation studies in c57BL/6 mice. Sleep-Wake Research in the Netherlands, 22, 72-75. Davis, C. J., Clinton, J. M., Jewett, K. A., Zielinski, M. R., & Krueger, J. M. (2011). EEG delta wave power: An independent sleep phenotype or epiphenomenon? Journal of Clinical Sleep Medicine, 7, S16–S18. Taishi, P., Churchill, L., Wang, M., Kay, D., Davis, C. J., Guan, X., De, A., Yasuda, T., Laio, F., & Krueger, J. M. (2007). TNFα siRNA reduces brain TNF and EEG delta wave activity in rats. Brain Research, 1156, 125-132. Davis, C. J., Bohnet, S. G., Meyerson, J. M., & Krueger, J. M. (2007). Sleep loss changes microRNA levels in the brain: A possible mechanism for state-dependent translational regulation. Neuroscience Letters, 422, 68-73. Davis, C. J., Kramar, E. A., De, A., Meighan, P. C., Simasko, S. M., Wright, J. W., & Harding, J. W. (2006). AT4 receptor activation increases intracellular calcium influx and induces a non-NMDA-dependent form of long-term potentiation. Neuroscience, 137, 1369-1379. Davis, C. J., Meighan, P. C., Taishi, P., Krueger, J. M., Harding, J. W., & Wright, J. W. (2006). REM sleep deprivation attenuates actin-binding protein cortactin: A link between sleep and hippocampal plasticity. Neuroscience Letters, 400,191-196. Davis, C. J., Kramar, E. A., Harding, J. W., & Wright, J. W. (2003). REM sleep deprivation-induced deficits in the latency-to-peak induction and maintenance of long-term potentiation within the CA1 region of the hippocampus. Brain Research, 973,293-297. Here’s a more complete list of Dr. Davis’s publications.